Dozens of potentially deadly carbon monoxide alarms have been removed from sale after a Which? investigation found they failed safety tests. Which? 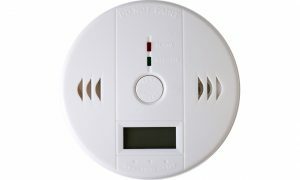 tested four alarms that were on sale on Amazon and Ebay. The models consistently failed to sound when the gas was present in the air, making them potentially lethal in the event of a carbon monoxide build up in the home. Worryingly, all four of the alarms tested claimed to meet the British safety standard for detecting carbon monoxide. 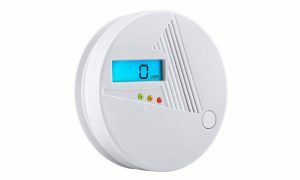 One of the alarms – The Topolek GEHS007AW CO alarm (£14.99) – was listed as a bestseller on Amazon. However, it failed to detect the killer gas in more than 80% of the carbon monoxide tests conducted by Which?. Three other unbranded alarms, that were made in China and sold through sellers on Amazon and Ebay for under £10, also repeatedly failed to sound when there was carbon monoxide in the air. These alarms appeared identical to alarms Which? tested in 2016, which also didn’t trigger when carbon monoxide was present. In response, Which? has made all four of the models that were tested Don’t Buys. Following the results of testing and pressure from Which?, Amazon and Ebay have removed the alarms from sale. The companies have also de-listed another 50 lookalike alarms that Which? believes to be identical to the three unbranded alarms and equally as dangerous as those that failed our tests. The investigation exposes the dangerous flaws in the current product safety system in the UK. Which? believes that the Office for Product Safety and Standards (OPSS) must take a more active role in market surveillance, so that it can identify products on sale that pose a potential safety risk and prevent them from entering people’s homes. Which? is advising anyone who owns one of these alarms to replace it immediately. Consumers should contact the company they bought it from and request a refund, based on the fact that the alarm is dangerous. “It’s extremely concerning that these unsafe alarms were being sold by major retailers, and anyone who has one of these alarms should replace it straight away. “When household names such as Amazon and Ebay are selling products that could put consumers at risk, it is clear more must be done by businesses and the Government to proactively identify potentially dangerous products and stop them from entering people’s homes”. We run 24 different CO tests at our lab to show whether an alarm responds to the presence of CO in the atmosphere. We test the alarms with different concentrations of the gas to replicate low-level CO build-ups, higher concentrations of the gas right up to catastrophic levels of CO. We have made these products Don’t Buys based on the results of the first 18 CO tests. We see how well the alarms recover after triggering to see whether they continue to detect CO and we also see how well they respond three months after initially being tested. Best Buys need to pass every one of our 24 CO tests. If an alarm fails one of the 24 tests, we will make it a Don’t Buy. All of the Don’t Buys we’ve seen since we started testing CO alarms in 2016 have each failed to detect CO multiple times in our tests. In response to our investigation Amazon told us that sellers need to follow its guidelines or face having their accounts removed. In response to our investigation Ebay said customer safety is its number one priority and it works with Trading Standards to ensure only lawful products are listed.